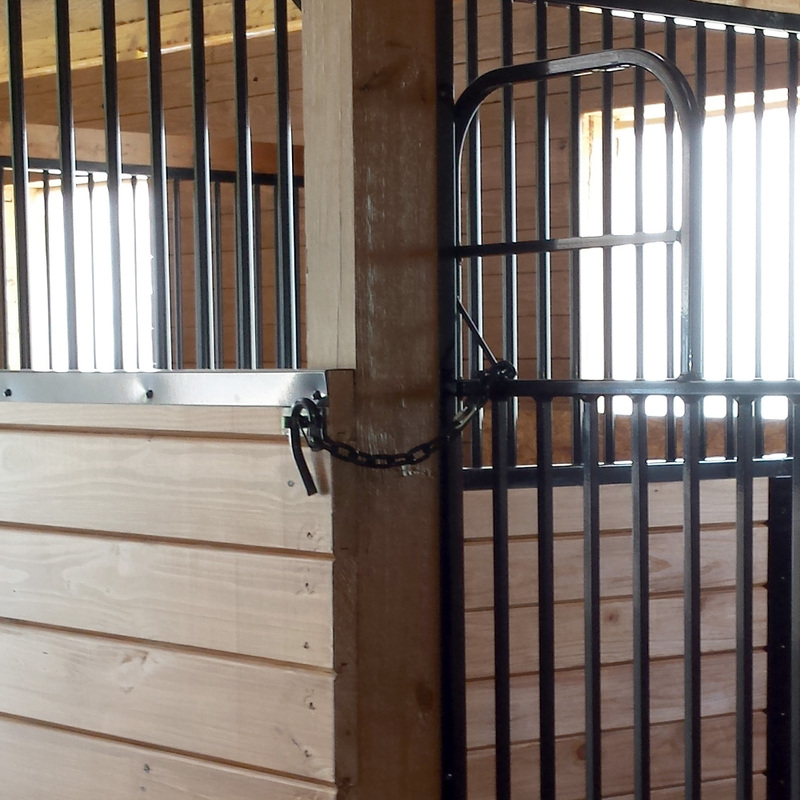 The quick latch is made out of galvanized steel and features a spring loaded locking ring to keep your horse swing gate closed. It wraps around your swing gate frame and attaches back on it's self. 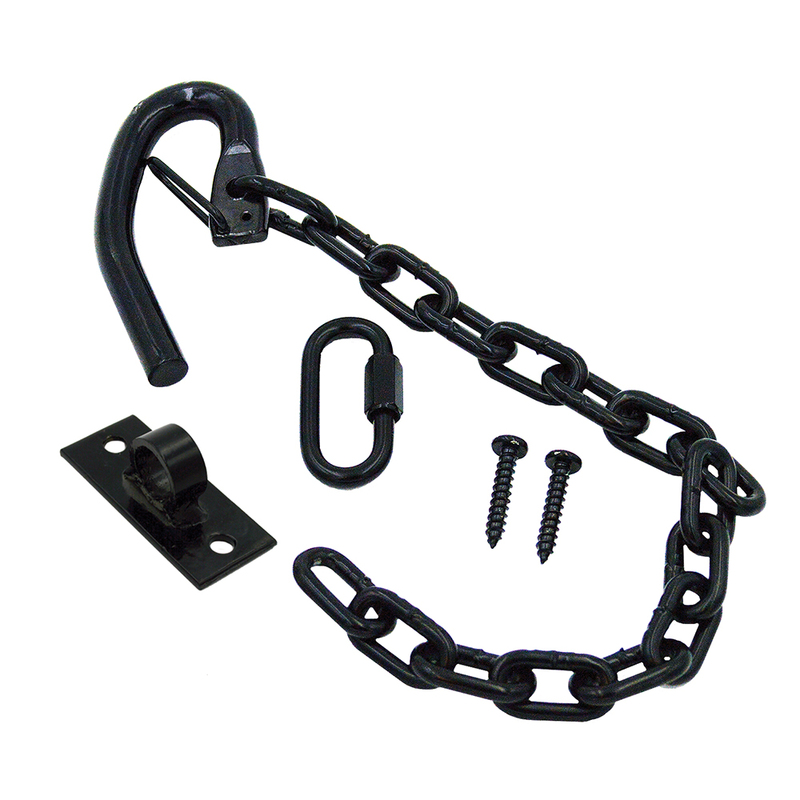 The quick latch is made out of galvanized steel and features a spring loaded locking ring to keep your horse swing gate closed. 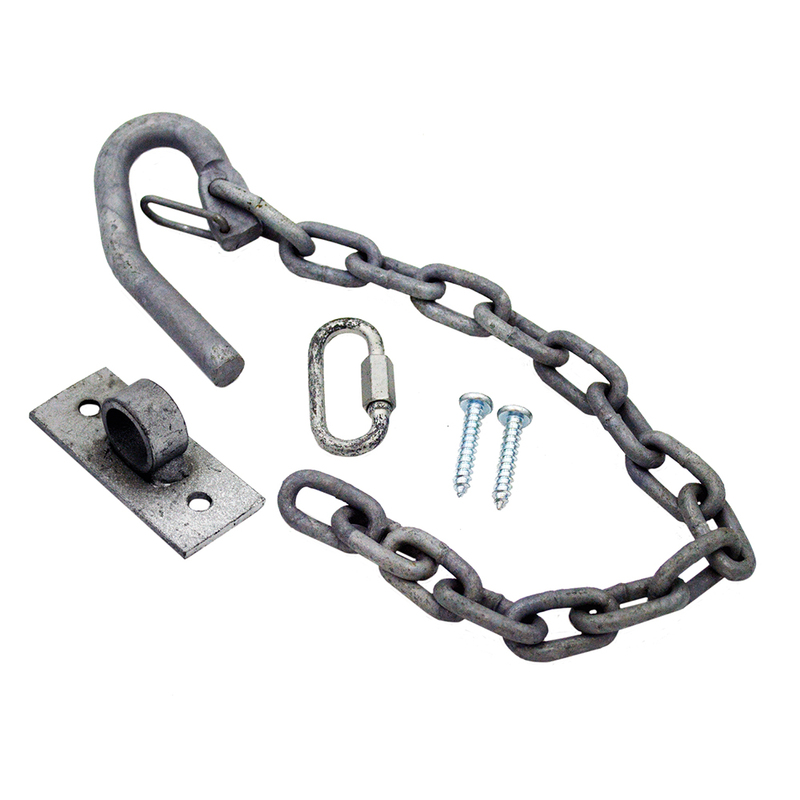 It has a 14" long chain and comes with a splice link and two staples to install the quick latch on your wooden support posts. It wraps around your swing gate frame and attaches back on it's self. It is very easy to use and only requires one hand. Great for when on horse back or when you only have one hand bringing your horses in.